TouchCopy does not detect my iPhone, iPod Touch or iPad. Ensure that you are running the latest version of TouchCopy and iTunes. Disconnect and reconnect your device while TouchCopy is running. Unlock your lock screen before connecting your device and ensure that it is unlocked while TouchCopy attempts to detect your device. Ensure that you have tapped to "Trust" your computer on your device if prompted. Ensure the Apple Mobile Device service is running and that iTunes can detect the device. Once installed - run TouchCopy again. Please make sure that you're using the latest version of TouchCopy. iTunes is required for TouchCopy to detect your iPhone, iPod Touch or iPad. You can download iTunes from here. Please try disconnecting and then connecting your device with TouchCopy running. If this does not work, restart TouchCopy with your iTouch, iPhone or iPad still connected. If your device has a passcode on the lock screen, disconnect your device from your computer, enter the passcode and then re-connect your device to the computer. 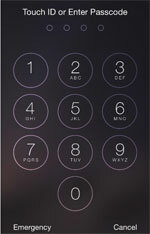 For devices using iOS7 or higher, tap Trust on your device to trust your computer. If you choose not to trust the connected computer, you can charge your device, but the connected computer won't be able to access any content on your device. If you are using Microsoft Windows - ensure you have the required services running by following these instructions: How to ensure Apple Mobile Device Service is running. If your problems persist, please ensure that iTunes can find your iPod, iPad or iPhone. Occasionally, if the iPod or iOS device database gets corrupted for some reason, neither TouchCopy nor iTunes will be able to find your device. For further help with getting iTunes to find your device visit http://support.apple.com/kb/TS1538. Once iTunes has found your iOS device, close down iTunes and try using TouchCopy again. If you continue to have problems with TouchCopy detecting your iPod, iPhone or iPad, contact our friendly support team.